Please enter your name and email to apply the Tuscan Guide 35% off promo code at check out. 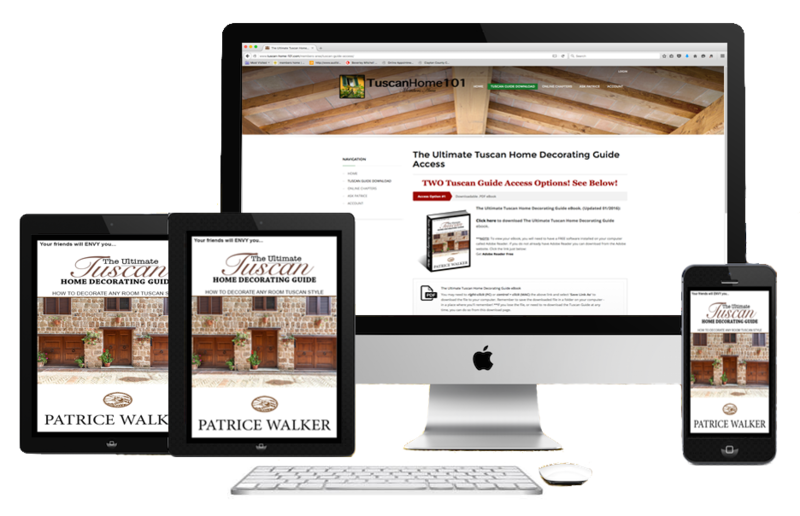 Enter your information below to get Patrice Walker’s Ultimate Tuscan Home Decorating Guide System for just $30.55 (while supplies last)! APPLY THE 35% OFF PROMO CODE NOW! Apply The Discount Code Now! 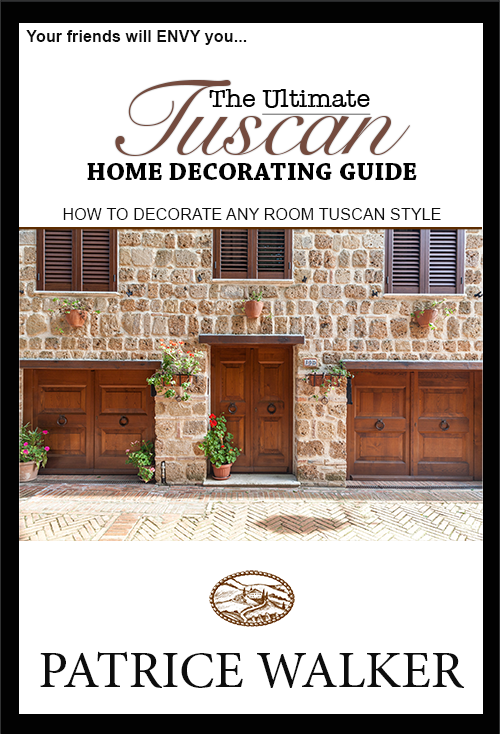 Tuscany Enthusiasts... Click Here to Start Decorating NOW!